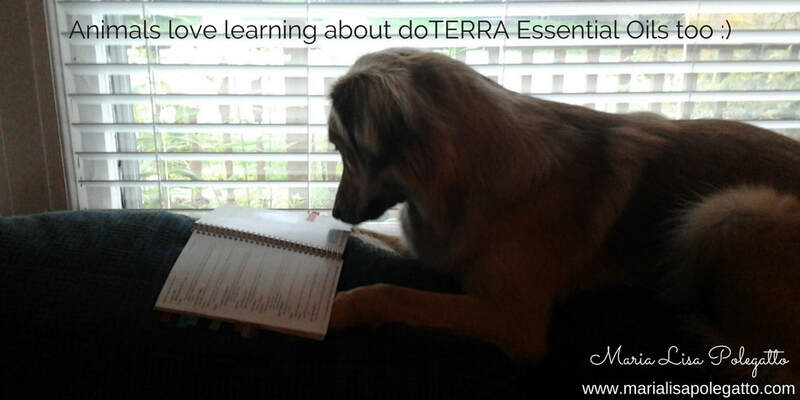 Did you know you can use some doTERRA Essential Oils with some animals? Animals like to relax and enjoy the smells of oils just like humans. Did you know organic means a product is only 70% organic and there are still chemicals used, just less then non-organic? doTERRA oils are CPTG - Certified Pure Therapeutic Grade essential oils - meaning they are a step above and beyond organic. They also have 14 different tests they use to ensure quality. If you want to know the quality of your oil, check the code on the bottom of the bottle and search the test results at doTERRA's sourcetoyou.com. I want to know when I use oils on myself and animals that I am not using any synthetic oils/chemicals or fillers - that's why I doTERRA - for the highest quality oils every time! I only use doTERRA with my animals and that's also why I decided to sell them to help share them with others. While I have taken classes to use oils with animals from a Veterinarian, I would never suggest you give up Veterinary care and only use oils. Sometimes animals are in discomfort and need help to reduce discomfort and I have found using oils is complementary when used in moderation. One drop of oil absorbs into the skin in 30 seconds and absorbs into the whole body in 30 minutes so care must be taken when dealing with animals. One drop goes a long way and needs to be diluted with a carrier oil such as doTERRA Fractionated Coconut Oil. My dog appears every time I open my jar of coconut oil she loves it that much and waits for a teaspoon full to eat daily. It is important when you work with oils around animals that you follow safe practice of oils. Not all oils are good for them. Even out of the list of oils that you can use with animals, did you also know that you can let your animal choose with ones they like best? Animals have their preferences just like humans so always give them the respect of asking them first. Did you ever meet a horse that didn't like smells unless they were natural? I did. His name is Bud. He doesn't like candy peppermints. Bud is smart. He wants natural ingredients, not sugary peppermint that smells like peppermints to humans but contained chemicals to make them smell like that. Animals sense of smell is more acute than humans so trust them. Always check your oils labels to see if that oil can be used for aromatic, topical and/or internal use and only use as specified. Never put any oils around your animals eyes, ears, nose or genital areas. You must also know your animals health, and if they are already taking any meds or supplements. Always dilute with a carrier oil like doTERRA fractionated oil ("FCO") as oils and water don't mix and can give your animal a reaction - if there is a reaction, welt or skin irritation, dilute further with FCT, never water. For diffusion, use a cold water diffuser like the doTERRA Lumo. I'm going to focus on horses, dogs and cats. Horses are very sensitive and smart animals. Anyone who has worked around animals knows that. They can not only smell you coming, they know what kind of day you are having too! So when you approach your horse with oils, have in mind that you are offering them oils if they want them, never try to force oils on them. They already know what oils they want. Horses use the Flehmen Response when they smell something new. They curl their upper lips, lift their head up in the air and hold a smell in their nostrils to examine it, decide if they like it, and add it to their memory bank. You don't even have to take the cap off for them to smell it. Positive responses include lip smacking, yawning, chewing and movements that show they are in "release" mode to relax. Negative responses include turning their head away, leaving, backing up to get away. Indifferent responses include no reaction. Aromatic - diffuse in the air in the tack room, barn, hallway to purify the air, put your oil on a cloth and hang out of each of your horse. Topical - what horse doesn't like a massage along the spine, some even like oils on the tips of their ears? You can also put on lumps and bumps. In this way oils enter the horses system for quick response. Never put on the saddle area before riding or putting on the saddle. Internal - this use is controversial, used in dietary use so only use doTERRA oils and dilute with a carrier oil like doTERRA fractionated coconut oil. If your horse is pregnant, don't use: Arborvitae, Basil, Birch, Cassia, Cinnamon, Rosemary and Thyme. There are also hot oils to avoid or use only with veteranary assistance: Thyme, Oregano, Clove, Cassia, Cinnamon, Peppermint. Do you want your horse more relaxed when moving in their trailer? Does your horse get stressed or have anxiety? Does your horse have tummy issues like gas, bloating or discomfort? Does your horse get cuts, scrapes and scratches? Do you want a spray for blankets to calm your horse? Do you want to repel flies, fleas and ticks away from your horse? Is your horse a cribber or weaver? Do you want to use an oil for cardio, immune, digestive, respiratory, muscular, nervous and urinary systems? Do you want to increase lymphatic flow? Do you want to increase cellular and DNA health? Do you want to make your own linament for tendons, ligaments, muscles and joints? Do you want an oil for massaging your horse for all ages? Does your horse spook easy? Do you want a more healthy skin, mane, tail and hooves for your horse? Does your horse need respiratory help? Do you need a crud buster for your horse and barn? Do you want a safe cleaner for your horse buckets, stall surfaces and troughs? If your answer to any of these is yes - we have an oil for any and all of these things. Do you enter your horse in horse shows and events? Check the rules of the event as essential oils could be listed as performance enhancers like herbs. A good rule is to not use oils 12-24 hrs before a show or event if they are prohibited or if you are unsure. Just reach out and ask me and I'll help you get your oils and give you some tips and recipes to use doTERRA Essential Oils. Shop 24/7 at my doTERRA store. This is Tilly. She like many dogs, loves oils! She spends a lot of time outdoors in nature and she likes to rest when she gets home so she has oils for home, travelling, in nature, and visiting people and other animals. ​Dogs are usually quick to let you know which oils are their favorite. You don't even have to take the cap off for them to smell it. Positive responses include lip smacking, yawning, trying to lick the bottle and getting excited without leaving. Negative responses include turning their head away, leaving, backing up to get away, running away. Aromatic - diffuse in the air in the room to purify the air or put on your hand and let them smell it. Leave the door open so they can leave if they want to. Topical - what dog doesn't like a massage along the spine or on the tips of their ears? You can also apply to lumps and bumps. In this way oils enter the dog's system. Always dilute, dilute, dilute and observe your pet's reaction. DO NOT USE with dogs as they are fatal: Birch, Tea Tree, Wintergreen oils or products with Xylitol. Use with caution and only with Veterinary advice hot oils: Cassia, Cinnamon, Clove, Oregano, Rosemary, Thyme. ​Do not use if your dog shows signs of distress, drooling, squinting, rubbing face, vocalization, shaking, vomiting, diarrhea or other signs of stress. Do not use with topical flea medication for at least 7-10 days. Do not use with dermal patches. Know your dogs health, meds and supplements. If your dog is pregnant only use oil on advice of Veterinary advice. Do you have worries about fleas, flies and ticks? 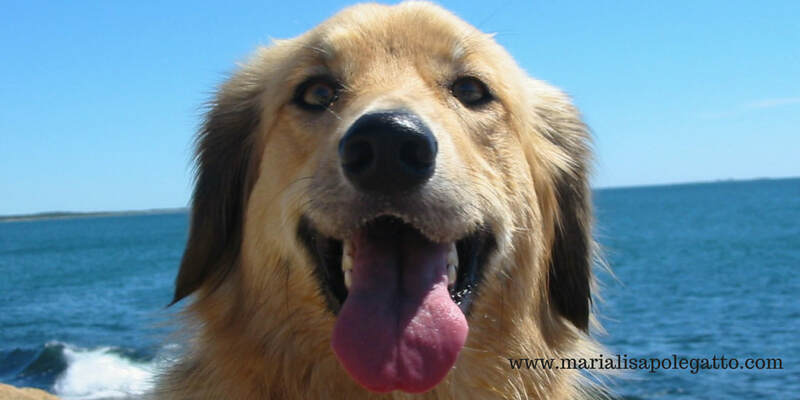 Do you want your dog to be more relaxed when you travel? Does your dog have anxiety or stress issues? Does your dog need help with digestive issues like gas, bloating? Does your dog get car sickness? Do you or do you want to make your dog's toothpaste? Does your dog need help with muscles and joints? Does your dog need help to breathe better? Does your dog need better sleep? Does your dog hate fireworks and thunderstorms? Are you a Vet or Vet Tech and need to keep animals calm by using oil on yourself? Does your dog need more support with all their body systems? If your answer to any of these is yes - we have an oil for any and all of these things! Cats can be oil lovers too! They are also usually quick to let you know which oils are their favorite and which they don't like without even having to take the cap off the bottle. But cats are smaller and have a different metabolism with less enzymes to metabolize oils. Positive responses include lip smacking, yawning, or rubbing up against the bottle. Topical - massage along the spine or ear tipping. You can also apply to lumps and bumps. Always dilute, dilute, dilute and observe your pet's reaction. Internal - this use is controversial and not recommended, do not use in water. ​Do not use if your cat shows signs of distress, drooling, squinting, rubbing face, vocalization, shaking, vomiting, diarrhea or other signs of stress. Do not use with topical flea medication for at least 7-10 days. Do not use with dermal patches. Know your cat's health, meds and supplements. If your cat is pregnant only use oil on advice of Veterinary advice. Do you want your cat to be more relaxed at home? Does your cat have anxiety or stress issues? Does your cat need help with digestive issues like gas, bloating? Does your cat get car sickness? Does your cat have itchy skin? 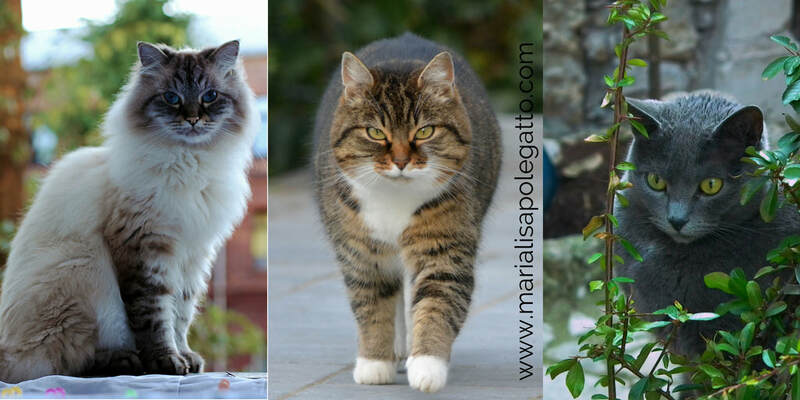 Does your cat need help with muscles and joints? Does your cat need help to breathe better? Does your cat need better sleep? Does your cat hate fireworks and thunderstorms? Does your cat need more support with all their body systems? If your answer to any of these is yes - there is an oil for all of these things! 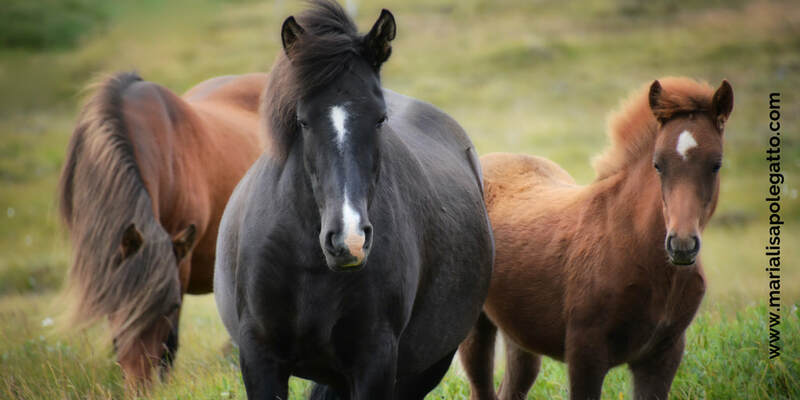 The Nature's Solutions Kit includes all the oils you need for horse and rider and dog or cat and owner except for Copiabia so we'll check the oil of the month to see if that one is on special or free on enrollment when you enroll or order. This is the best kit to get with great savings. But there are more kits too. Try the Home Essentials Kit which has the diffuser and 15ml bottles of oils or the Family Essentials Kit without diffuser and with 5ml bottles of oil instead of 15ml. With both of these kits you will need to get a few more oils to go with each for use with animals. Click here to view all kits and savings. If you want to buy the oils separately, the best option then is to get an account so you save 25% off all your oil products for you, your animals and family, just like I do. If you still want to buy retail, you can do that too by clicking here. Just reach out to me and I'll help you get started using doTERRA. ​Get your own account for SAVINGS! Go to Nature's Healing Essential Oils Facebook page for more great tips and deals. Don't have a Veterinarian that uses essential oils? I refer all my members to one that uses doTERRA Essential Oils. I can help get you started. Disclaimer: I am not a Veterinarian and do not give medical advice for animals. Proceed to your Veterinarian for medical questions and assistance for your animals. The use of oils does not replace Veterinarian and/or medical advice and assistance.